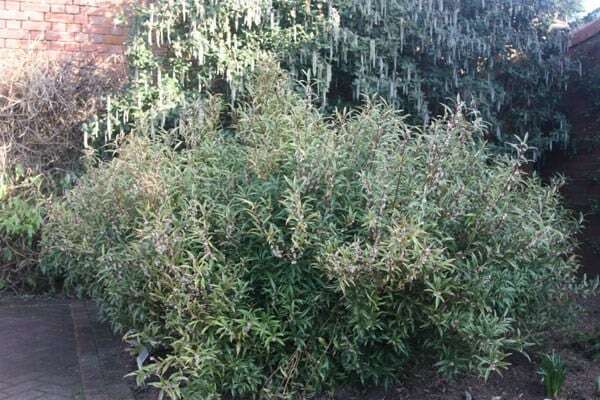 A suckering, evergreen shrub that gradually forms a dense thicket. The new shoots are flushed with an attractive dark purple-pink hue which gradually fades as the stems mature. 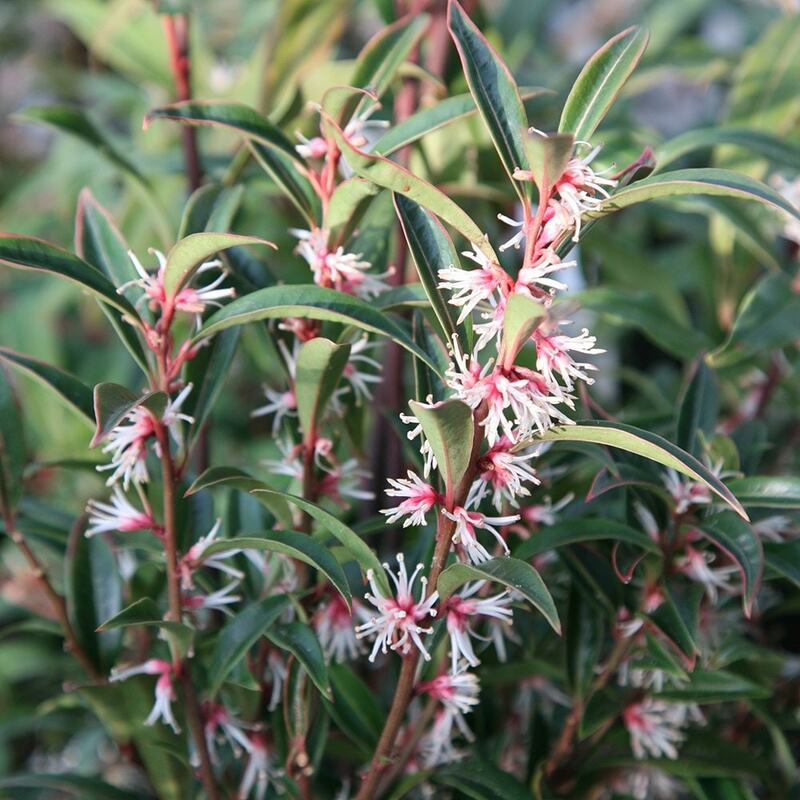 The stems are clothed with slender, tapering, dark green leaves and in winter sweetly scented, pink-tinged, white flowers appear, which are followed by rounded blue-black fruit. Garden care: In late-winter or early-spring lightly trim or prune back shoots that spoil the plant's symmetry. After pruning apply a generous 5-7cm (2-3in) mulch of well-rotted compost around the base of the plant. planted in dry shade and growing as per expectations. Gosh if Crocus look to see how many Q's I have asked re my garden I will be banned from your website :O) However, your answers to some of my recent Q's has forced me to re think my garden, just as I thought I had sorted it :O( I am now thinking that I may plant a hedge of Sarcococca hookeriana 'Purple Stem' along the top of my retaining wall. However the border is only about foot wide (although it can extend into the field beyond). The border is east facing, do you think it will do OK there and how far apart do I plant them if I want an informal hedge? I have read so many different versions of how tall this will grow one source says 60cm another 1.5m! Hello, This plant has an eventual spread of around 1.5m and prefers not to be cut back too hard, so it probably is not going to be the right thing for your wall. When should I plant this out? Hello there As a general rule fully hardy plants that are grown in containers can be planted at any time of year as long as the soil isn't frozen solid or freezing outside. The best times are in the autumn when the soil is still warm enough to encourage root growth but the plant isn't in active growth, or the spring before the temperatures start to rise. This plant is fully hardy, but I would wait until this cold snap has passed before planting. However you can still keep the plant out in the garden until you are able to plant and it will be fine no matter what the weather.